We’ll help you create a functional space for your growing business at an affordable price. Trusted. Professional. Preferred. Designing Industrial Sheds for businesses - without the hassle or hidden costs. Top quality guaranteed. You’re taking your business to new heights and need a space to match! With a custom built industrial shed, you can build your business just the way you like it. An industrial shed allows you to create a space that suits the specific needs of your business while increasing your potential to do much more. 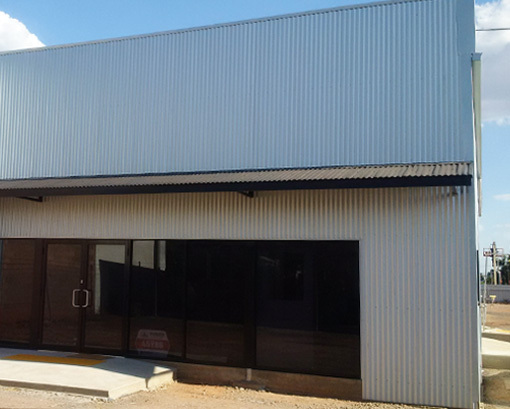 Whether you need a place to manufacture products or equipment, store merchandise, or host events, an industrial shed presents near endless options. At Asset Building Systems, our team will work with you to custom design a shed to meet your specifications, timeframe, and budget. Even better, we manage the entire project on your behalf to ensure top quality results without the stress. Ask us about our up-front fixed pricing! You will get a custom quote suited to your needs and complete transparency in how much your project will cost, the timeframe, and the quality you can expect - guaranteed. 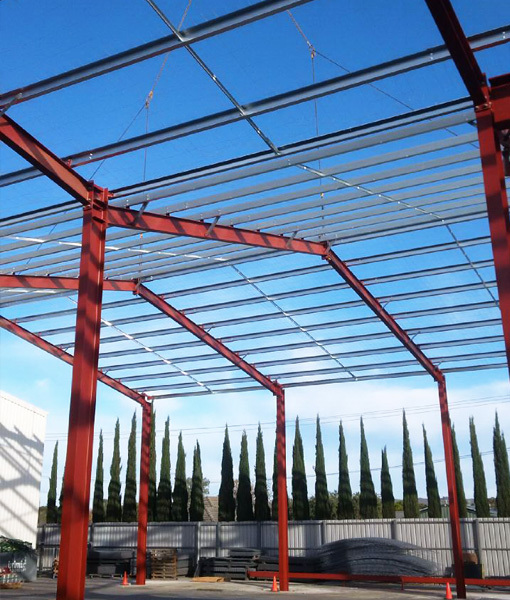 Industrial sheds are often pre-designed or custom designed buildings constructed for industrial purposes, such as manufacturing, factory work, automotive work, retail, and more. Industrial sheds and warehouses can take on a wide range of designs, sizes, shapes, materials, and more. Their versatility offer near endless solutions to business owners looking to grow their business or industrial space. Many people associated industrial sheds with construction, aviation, or even mechanical work, but this isn’t always the case. In fact, nearly any industry that deals in tangible goods or services can use industrial sheds to their benefit. An industrial shed or warehouse allows you to expand your business and offer more than ever before. If your business is on the rise, your space should evolve to fit your needs, whatever they may be. The possibilities are endless. Industrial sheds are not only for housing equipment or storing retail. They can serve a wide range of purposes for all kinds of businesses. No matter what industry you are in, if you deal in physical goods and services, an industrial shed could be the solution to any space limitations you are facing in your business. Wondering in building an industrial shed is a good fit for you? Discuss your ideas with the team at Asset Building Systems today. Finding the right industrial shed design is an important decision. It takes weighing all of your options and finding the perfect fit for your business needs and budget. At Asset, we don’t believe in an one-size-fits-all solution. That’s why all of our industrial sheds are custom priced according to the specifications of our customers. You can rest easy knowing that you are getting the best possible price for your project. Our team will craft a design and plan that fits your business model, space requirements, desired location, and more. For instance, if you need a quiet office space for your sales team, the layout can be adjusted to put the office further from the noise, or add insulation to lessen the noise. There are many factors to be considered and all can be accommodated so that you can find the best fit for you. Want to know how much your industrial shed will cost? Contact us for a free, no obligation quote now. Why Build an Industrial Shed or Warehouse? Why should you consider building an industrial shed or warehouse for your business? An industrial shed or warehouse allows you to create a space that suits the needs of your business – and allows it to grow. Whether you need storage, a place to showcase your products, or a functional office space, an industrial shed is a practical and affordable solution. One of the best benefits of building an industrial shed is that it is completely customizable to your needs. While other spaces are limited by their existing design, with your new project you can start from scratch. This allows you to design a space that fits your specifications. No one likes hidden fees. That’s why at Asset Building Systems we adhere to reliable, fixed pricing for all of our construction projects. We promise to provide the most affordable plan to suit your needs. Do you need help making your big plans a reality? Speak with the team at Asset Building Systems to find out if building an industrial shed is the right solution for you. Are you looking to expand your business space but don’t know where to start? At Asset Building Systems we will work with you from the idea stage until project completion to help you create the industrial space your business needs. 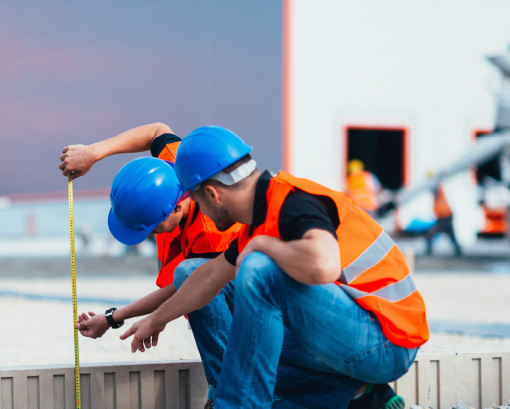 Our team of experts manage everything, including project design and planning, carrying out construction, and managing the project on your behalf. This ensures top quality results and less stress for you! 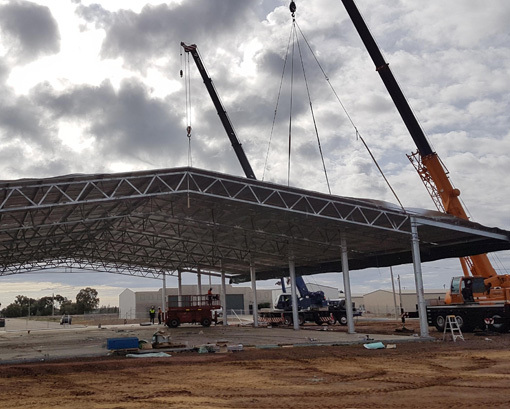 Our warehouse and industrial shed planning services include planning the placement of your shed at your location, sorting out council plans and approvals, meeting council requirements, finding contractors and more. At Asset, we also understand that no one wins when variations have to be done, so we will work with you to come up with an all-inclusive contract that covers all the bases. We aim to create an experience that is as hassle-free for our customers as possible. This means more time to focus on what you do best, while we do the rest! Construction projects can take a lot of work, organization, and manpower to make it happen. As a business owner, you may not have time to oversee the entire project – or know-how to make it all come together. Trust the experts at Asset to do it for you! We manage every element of the construction to ensure professional, high-quality results at an affordable price. Who says your industrial shed can’t have curb appeal? Beyond just creating a functional space, it’s important that your industrial shed is top quality and meets your standards. See something missing from this list? Let us know your vision for your project and discuss your options today. That’s a lot to keep track of! Focus on what matters most in your business and let the pros at Asset Building Systems to handle your industrial shed construction project from start to finish. Want to know why Australian business owners trust Asset Building Systems with their construction needs? We take a better approach than the rest! Trust Asset to get your construction project done right, every time! Tired of unexpected delays, hidden fees, and inconsistent results? You deserve better from your construction team. At Asset Building Systems, we rise above the others by delivering top quality work at an affordable price. We’ll work with you every step of the way to ensure that you are getting the best rates, contractors, and materials for your project. This saves you money, energy, and time so you can focus on what matters most in your business. There’s nothing worse than a long, drawn out construction project where you are overcharged at every term. Our philosophy includes putting our customers first, with open communication about the progress of their project. Never overpay for your construction project ever again. Reach out to us today to discuss your project. It’s time that you create a space that reflects the growth of your business. With an industrial shed, you can expand your services and continue bringing your customers quality results. To make your vision a reality, work with the experts at Asset Building Systems to ensure the job gets done right.